Even though Julia Reeves is only three weeks into the third term it has already been so busy that it seems like ages! Classes are well under way, Beauty and The Beast rehearsals are in full swing, and life is all go once again at the mission school in Mexico. She is encouraged to see how much the kids have grown spiritually, intellectually, and in maturity since August 2017, when she first stepped foot off that plane and onto the dusty streets of Chihuahua not knowing what to expect. It is the Senior Trip at the end of the month. Please pray for all the final preparation details for this and that they will have a blessed time together. They will have tough decisions to make over the next few months in deciding where God wants them to be next and His plans for their lives. This month also brought further opportunities for the students to work with LightShine! (A mission organisation in the local area). As a school, before Christmas, they raised money for blankets to provide for those who do not have heating during these colder months. Hundreds of people die each year from the freezing cold because they do not have the warmth that we are so blessed with. 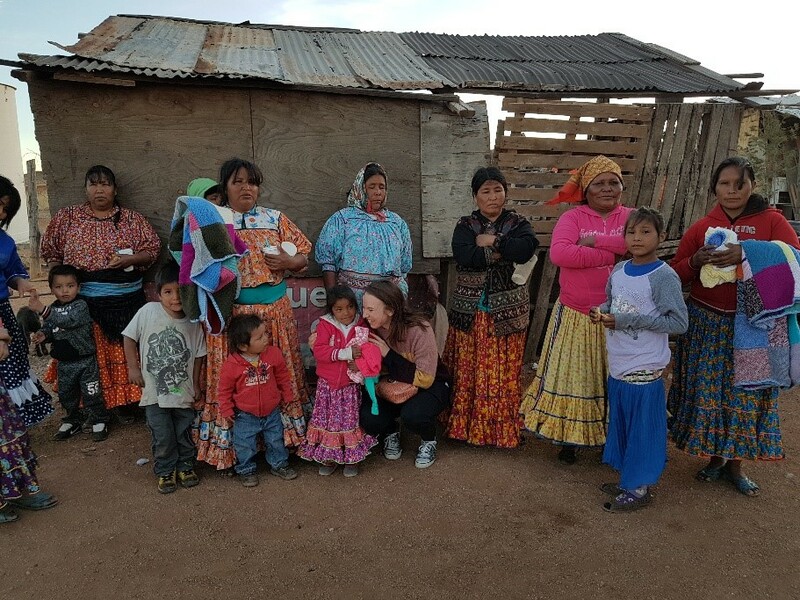 So, some of the students, another teacher, and Julia accompanied LightShine to one of the poorer Tarahumara tribes to distribute blankets, along with clothes that were donated. They went around in small groups with a translator of their native language and upon giving them the blankets/clothes, they then spent some time praying for each one. Julia found it a humbling and wonderful experience; not only to be involved first-hand in the tribal ministry, but also to see the students praying for them and some even sharing the Gospel! Praise the Lord! The Tarahumara tribe now have their own church plant, their own pastor and leadership team from the tribe itself! Because of this, LightShine is now merely a support for them as the pastor and his team are now reaching out and evangelising to their own people in this area! God is so good and making disciples of all nations! Although they have a Bible translation, sadly, it is not a very good one. However, at the moment the aim is to continue building relationships with the tribe to lay a foundation for further evangelism. It will also be necessary to teach literacy, pray for wisdom for the translators to know the best way to proceed. Please pray that the Tarahumara people’s hearts and minds will be open to the Good News and for a better Bible translation.